Ed Garay: Managed IT Services is a proactive approach to IT support. It’s a flat fee service that provides virtually unlimited support. And in our case, it also includes virtually unlimited Clinical Application Support, which is Managed IT Services includes proactive measures such as Anti-virus/Anti-malware software, Anti-spam services, backup services and other services that help prevent certain issues. It’s intended to be a Win-Win-Win scenario. If we are doing our job correctly, then it’s a Win for us since we have less reactive ‘fires’ to put out, a Win for our client as their entire organization remains productive (and there are less jokes made by their staff about their technology), and a Win for our client’s client as one of the results of properly leveraged technology is responsive customer service. Mary Pat: Can you expand on what you mean by Clinical Application Support? Ed Garay: We assist you with your use and management of your practice management and EMR software by helping you create or update templates, helping you manage and train staff on system upgrades, helping you create training materials and cheat sheets, and are available to help you however we can to improve your use of the software. Mary Pat: How can you manage practices nationally? Ed Garay: With our Managed IT Services support platform, we are able to do at least 80% of IT support remotely. The newer the client’s hardware, the higher the percentage. When in need of someone onsite, or ‘remote hands,’ outside of our area for a short amount of time, we reach out to our network of IT Partners to help. In some cases we work with internal client staff if they are made available to us. But because we can do so much remotely, and we work well as a team with our clients staff and their vendors, all management of our clients is done out of our main office. We do make site visits from time to time as necessary. Mary Pat: What sets you apart from other companies offering IT services? Ed Garay: First, I have the most memorable personal tag line “When your computer is dead, call Ed!” Second, Lutrum has a culture of personable IT people. Although we work hard, we definitely appreciate a good humor and enjoy working closely with our clients. Third, unlike most IT companies, we won’t just install your EMR/PM application and leave. We will also provide you a Clinical Application Manager to help you leverage your technology and work towards a Return On Investment. Lastly, we continue to modify our Managed IT Service offerings so that they are turnkey. For example, we include many services and hardware that most IT providers would prefer to charge separately. Mary Pat: You recently had a booth at the MGMA annual meeting in Las Vegas and had a lot of interest in your Compliance product. Ed Garay: Practices are looking for help with HIPAA/HITECH compliance and we had a number of managers who told us they came to the exhibit hall specifically looking for our solution. Mary Pat: What is your HIPAA/HITECH solution? Ed Garay: The HIPAA/HITECH Report on Compliance is generated by a ROC (Report on Compliance) cloud-based tool that we provide. Three key features to it are: It meets the Meaningful Use Stage 1 Security Risk Analysis requirement, it’s a system that is continuously updating regulations so that a Practice’s Compliance Officer doesn’t have to keep track on their own, and Covered Entities can better manage and track their Business Associate’s compliance documentation. Since it is built in a Yes/No question format, it becomes easier to figure out where your organization stands with compliance. As a Managed Compliance Provider, I originally started offering the ROC tool so that our clients can hold us accountable for keeping them HIPAA/HITECH compliant. But we soon found out that with our expertise on the HITECH side of compliance, we can assist practices even with existing internal or external IT support as well. MMP readers can request a sample ROC (see a small section below) by emailing me at ed.garay@lutrum.com. Mary Pat: One of the most nerve-wracking projects a manager can undertake is moving from one IT vendor to another. Can you talk about how that process can be successful? 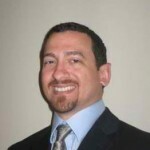 Ed Garay: It is possible to achieve success during an IT Vendor Transition. If you follow a steps outlined here, you will feel more confident about making an IT Vendor change and can start expecting better results from your current (or future) IT Vendor. Determine timeline of transition that works best for your medical practice. Is it a transition that needs to be expedited, or is it one that needs detailed consideration? Administrator username and passwords for networked devices, your domain, online providers, website hosting, etc. List of 3rd party service partners such as Internet Service Providers, Online Backup Providers, and Website Hosting Providers, etc. Initiate a conference call or face-to-face meeting between your medical practice (key individual(s)), your current IT Vendor and new IT Vendor. This is a very critical step. With your network documentation in hand, the new IT Vendor can talk more specifics with your current IT Vendor. If certain software and services are specific to your current IT vendor, the current and new IT vendor will need to coordinate the swapping out of the software and services within your timeline. Go Live of your new IT Vendor’s services! 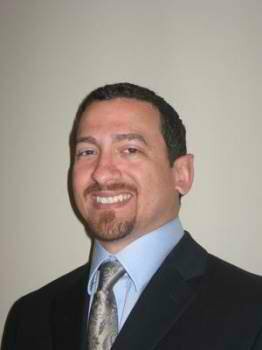 Ed Garay is the CEO of Lutrum, a managed IT services company that provides medical practices with a turnkey IT solution. He is certified in Management of Clinical Information Technology. Ed says “Through state-of-the-art technology, strategic planning, quick response time, and open communications, we create a winning partnership between your team and ours so that your IT worries disappear, leaving you more time to run your business.” You can contact Ed at 480.745.3091 or ed.garay@lutrum.com.